Keynote Topics: Tamara presents on topics at the intersection of marketing and technology; MarTech, Influencer Marketing in B2B & Enterprise, Social Media Account-Based Marketing, Marketing to Women in the B2C Retail Space, Generational Marketing, Marketing to Millennials, Gender Marketing, Personal Brand, Social Influence & Thought Leadership, Employee Advocacy & Engagement, Women’s Leadership. Companies don’t buy, people do. Current and former clients: Verizon Enterprise, IBM, Kawasaki Motors USA, SYNNEX, Huawei, Appboy, Dynamic Signal, The CMO Club, VentureBeat, KPMG, US Department of Defense, California Medical Association and the National Association of Certified Legal Nurse Consultants. CEO of Thulium: Thulium is an Influencer Marketing Agency, focusing on Social Media Account-based marketing utilizing data and analytics to meticulously track progress and goal achievement. Thulium offers Influencer marketing campaigns and programs for B2B, Enterprise, and Government. Thulium is engaged to assist organizations in significantly moving the needle on sales while cutting gestation time in the funnel through harnessing the power of Social Media Account-based marketing. Thulium also works in development of brand identity and delivery of compelling brand stories across social media channels thereby elevating awareness, creating thought leadership, and increasing conversions through building trusted relationships with a target audience. Thulium’s proprietary social media approach positively impacts the customer journey and experience. By focusing on creating brand influence through developing powerful customer relationships and brand stories for companies in the Fortune 1000, especially in the social media space, Thulium shifts corporate and customer culture around extraordinary brands. Specialized B2B experience: IoT, CDN, SDN, Security, Machine Learning, AI, Blockchain, FinTech, Energy & Utilities. Specialized B2C experience: Consumer Electronics, Wearables, Gaming, Automotive, Powersports, Healthcare, Financial Services, Sport and IoT apparel. Thulium also has specialized expertise in Marketing to Women. #1 social influencer: (Documented by third party analytics) 2016 conferences including: IBM Amplify, DistribuTECH, Enterprise Connect, Channel Partners, RSA, NAB Show, Subscribed, Gartner Security, and IBM Interconnect. Panelist and Moderator: Tamara has participated as a panelist Internationally on topics of IoT, Cloud, Machine Learning, Leadership and Digital Disruption. 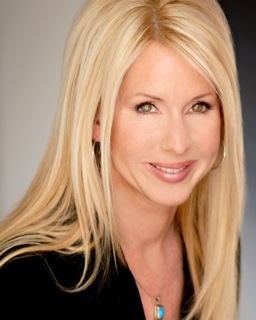 She has moderated, interviewed, and conducted Fireside chats with a Who’s Who of CMOs, CIOs, CTOs and CDOs; from Visa, Etsy, Dunkin’ Brands, Pizza Hut, Moet Hennessy, Priceline.com, the Philadelphia 76ers and even Vincente Fox, former President of Mexico for organizations such as The IoT Institute, VentureBeat and The CMO Club. Let’s connect! Click here to contact me.